Engaging in student life is key to your academic success, especially utilising wider facilities available to you. We’ve explored this in our earlier blogs and now we will explore engaging in the wider industry of your chosen studies and future profession. Students may have a rigorous timetable and plenty of assignments due during the academic year, however, looking further afield for academic talks, events, panel discussions and workshops is an ideal way of growing your knowledge of current industry happenings. This is especially true if you are studying subjects that are constantly evolving and developing in the modern world. This can include everything from advances in medicine, digital and technology, crime and investigation, business and economics to name but a few. Undergraduate focused, university representatives will meet International school counsellors over a 2 day seminar with a student/parent on the afternoon of the second day. The two-day event includes general sessions and fairs for both universities and schools. This is the perfect opportunity to connect and build international relationships that will support students’ search for the best-fit university. One of the great joys for me has been speaking to other international students who come to London. I’ve very much enjoyed hearing their experiences, some similar to mine, some different. One of the things we all seem to have in common is that we have all enjoyed the experience of utilising the British Library. The vast wealth of resource available at the British Library is insurmountable as it houses a copy of every publication produced in the UK and Ireland. There are millions of items, books, journals, manuscripts, newspapers, maps, recording etc. to be found here which alone is mind boggling to consider. It is the environment of the British Library that nurtures learning and endears more hours easily spent studying within the grand scale building that make this a place a home during the academic year. The key to having a successful academic year abroad is to explore and understand all the opportunities available to you. I’ve come to London to study a course which I am passionate about and very interested in working in that field once I graduate. While it has been great to integrate with university life on campus, I soon realised that there was a wider world out there in the great city of London. Once I had my first assignments I took off to discover the great libraries and resources of London. I will be writing about some of my highlights over the next few weeks to hopefully inspire you to discover more about what studying abroad means and what is there for you to have as your own resource. Should you choose to study in London, these blogs should give you a great head start with a list of places to enhance your academic studies. The Wellcome Collection is a world renowned medical collection of curiosities from around the world as well as showcasing some of the most important human interactions with research and modern day social issues. It has rich historical beginnings, founded by Sir Henry Wellcome, and is free to everyone to explore, interact with and learn. What is it REALLY like to study English in London? 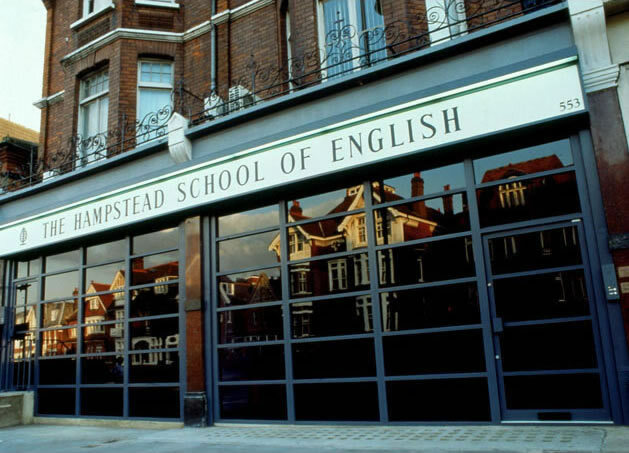 An international student at Hampstead School of English, London UK, talks about their experiences. We hope this is helpful and interesting for prospective students! Just after my graduation ceremony I decided to leave my country and start a new chapter in my life. 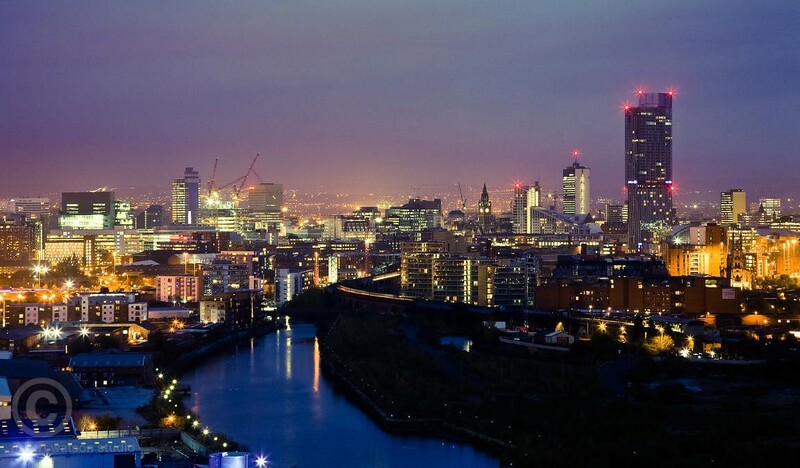 I wanted to study abroad in order improve my English language skills and to try to maximise future opportunities. I was 28 at that time and I used to travel to London quite often but I didn’t know the Hampstead area at all. I came across the Hampstead School of English website by chance. Hampstead is not as popular as other areas in London, and when you look at the map it looks far away from the city centre where you think all the fun stuff happens- such a wrong assumption! Being sceptical by nature before enrolling on my course I took a couple of weeks to look around and visit several schools. Hampstead was the last one on my list even though it was my first choice. When you walk in, there’s a large hall and you can find reception on your left- people at reception are very friendly and helpful. They guide you through the enrolment process and in case you are confused about which course is the right course for you- considering your aspirations and purposes there is always someone with the capability to give you advice. If you are a student thinking about travelling overseas to study at an English-speaking institution, you probably already know there is a range of possible English language tests you could take – this article is help you decide which test is best for you! If you are a student thinking about travelling overseas to study at an English-speaking institution, you probably already know there is a range of possible English language tests you could take – this article aims to help you decide which test is best for you. Here at GoToStudy we hope to support international students in their applications however we can, so we welcome any responses or feedback, or suggestions on what you would like to see in future blogs! Run by the University of Cambridge’s CELTA, the British Council and IDP Australia, the IELTS test is often considered the most reliable and trusted English language test. This is mainly because the number of test centres is very strictly controlled, and the test centres are closely supervised. Any prospective university student should however make sure they register for the ‘Academic IELTS’ and not the General IELTS. IELTS is undoubtedly the preferred test of most British and Australian universities, and it uses British (and Australian) English. It is also accepted by most American, Canadian and New Zealand institutions. I’m leaving I can honestly say that I’m more than satisfied with my experience. some of it with you. make before I got to my homestay. Guest post from UWE - Getting a job after your studies can be tough but there is help out there. GradLink UK is the award-winning specialist careers site for international students and graduates who have or are studying in the UK. This article is a guest post from our partners at the University of the West of England. If you’re an international student or a recent graduate from these regions, GradLink is the essential place for learning about graduate opportunities and connecting with graduate employers across the world. It is your essential link to careers and jobs in your home country and beyond. 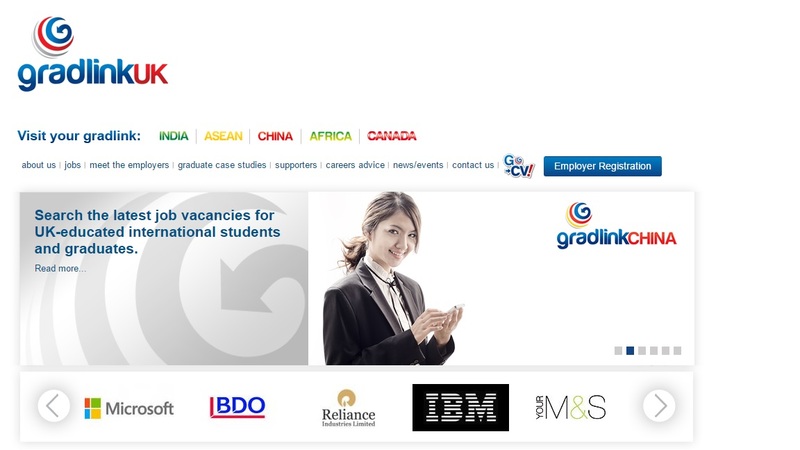 GradLink currently includes specific focus for China, South-East Asia (ASEAN), Africa, India and Canada, with further country sections to be added soon. · Build and/or submit your CV for our employers to search using Go-CV! GradLink UK is powered by the University of the West of England (UWE Bristol). The UTS Business School is going places! UTS (The University of Technology, Sydney) has been awarded a significant five stars result for excellence in eight out of eight categories of higher education by QS for 2014-2016 . 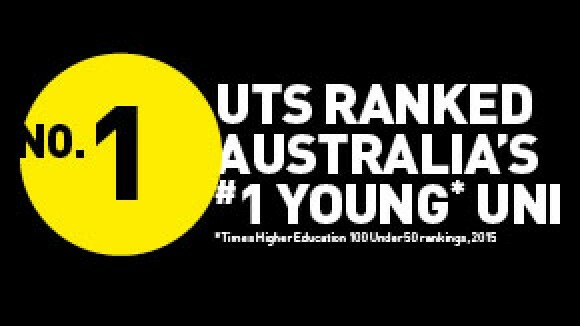 UTS has jumped 8 places from its ranking of 21 in 2014 and is the highest ranked Australian university in this category (Top 50 universities under 5o years old). 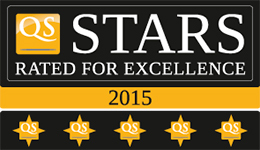 Specialist: Five stars achieved in the academic disciplines of Accounting and Finance. The UTS Business School has been assessed under the latest QS Initiative – QS Stars Business Schools – a rating system for university business schools. In 2014, UTS Business School was awarded 5 Stars overall, achieving 5-star ratings in Employability, Engagement, Internationalization and Diversity, and Facilities. Find out how YOU can ace the TOEFL speaking test! Hints and tips for international students preparing for the TOEFL speaking exam. The TOEFL exam is required for entry to many universities and colleges in English-speaking countries. This guest post originally appeared on the Flywire Blog. Flywire is the recognized leader in the processing of global tuition payments made by foreign students for international studies around the world. If you’re an international student looking to study in the United States, you’ve probably heard of the TOEFL exam. The TOEFL (Test of English as a Foreign Language) is a standardized English language proficiency test for non-native English language speakers wishing to enroll in U.S. universities. Most universities require it as part of their admission criteria, so passing the test is a must if you plan to study in the States. Though the TOEFL Speaking section is the shortest section of the TOEFL test, many students struggle with it the most. 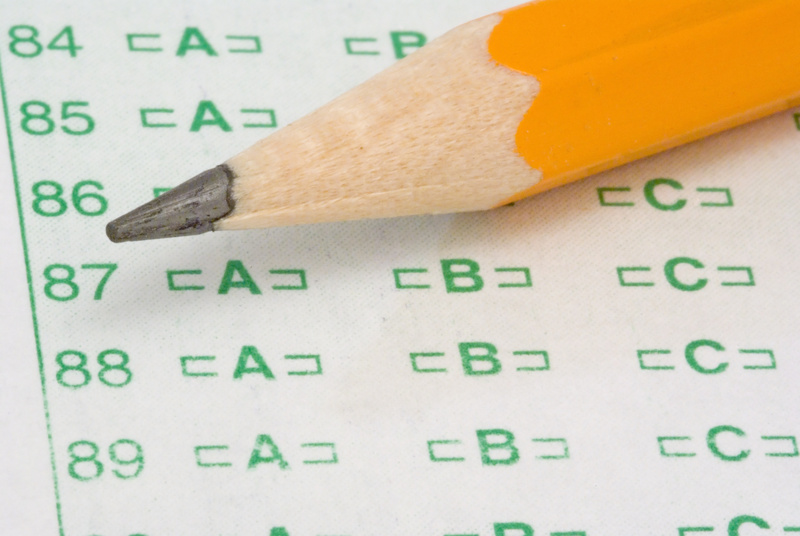 Speaking in English, into a microphone, under a time constraint, in a room full of other test takers—it can be stressful if you’re not prepared. Luckily, there are a lot of ways to prep yourself. By understanding the format of the TOEFL Speaking section you’ll be able to answer all six speaking questions in the allotted time. Check out the infographic below for a preview of the test format, question types, scoring, and tips for boosting your performance. And If you’re a parent or friend of a student about to take the TOEFL test, be a hero and pass this post along.